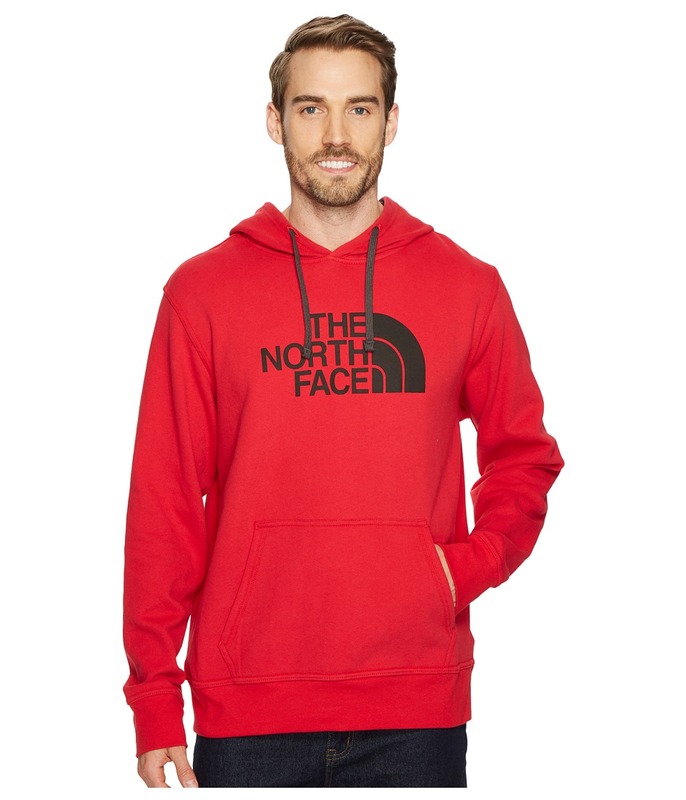 From layering up after a good gym workout, to hitting up your favorite trail, you~ll be ready for anything with The North Face Half Dome Full Zip hooded sweater. Double-layered hood with adjustable drawcord. Half Dome logo screen-printed at chest. Split kangaroo hand pockets with hidden interior media pocket. Rib-knit at cuffs and hem. 80 percent cotton, 20 percent polyester. Machine wash cold, tumble dry low. The Half Dome Hoodie isn~t happy staying in your closet. The Half Dome Hoodie wants to ride shotgun on your next trip to the crag and keep you warm when the sun disappears and cool weather creeps in. Imported. Soft fleece fabric. Logo at center chest. Drawstring hood. Front kangaroo pocket. Charcoal Grey Heather/Biking Red: 52 percent cotton, 48 percent polyester Other colorways: 80 percent cotton, 20 percent polyester. Machine wash warm and tumble dry low. Measurements: Length: 29 in Product measurements were taken using size MD. Please note that measurements may vary by size.